Spooktacular Savings At Wilkins RV Sale - October Only! For RV Sales, Service and Parts prices so good, they’re spooky, come to Wilkins RV sale during the month of October. We are celebrating the fall season with special savings and incredible deals you won’t want to miss. Contact dealer for financing terms. As an extra bonus, get a Free RV Cover with every new RV sale between now and October 31st. Protect your new RV properly during the icy winter months. 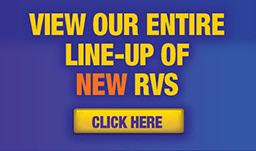 We also have an amazing selection of quality Pre-Owned RVs as well. 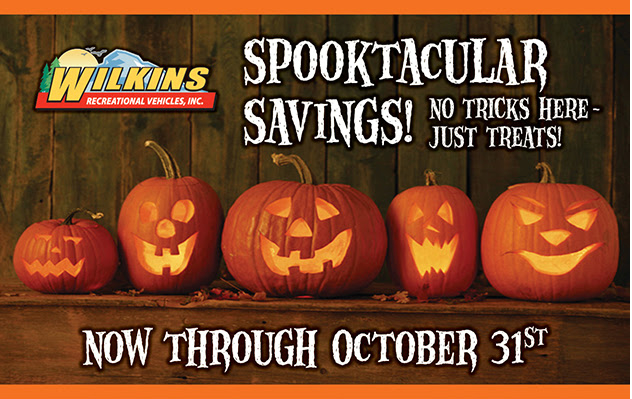 The Wilkins RV Parts and Service Departments are joining in on Spookatacular Savings as well! Don’t get caught by surprise when freezing temperatures arrive. Get your RV Winterized now with this special $29.99 coupon. This includes parts, and labor to drain the water heater, and drain and winterize all water lines. Normally this service is $59.99 so don’t miss out on this fantastic deal for the month of October only! Are you a do it yourselfer? 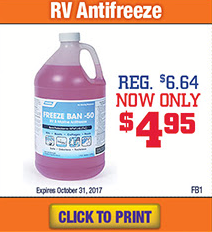 We have a special markdown price on gallon antifreeze as well! Protect your RV today for only $4.95 a gallon. Check out the coolest new addition to creative RV storage! 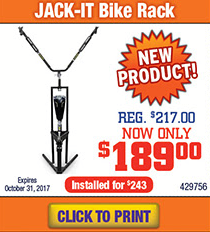 The Jack-It Bike Rack allows you to mount your bikes at the front of your travel trailer, keeping them safe and out of the way during transit. We have them on sale for only $189.00! Now is also a great time to replace your awning and slide toppers! Get 10% off today! For more information on all the special offers at Wilkins RV during the month of October, Contact Us or visit one of our four locations throughout New York. No tricks here- just treats!